A student receives high school credit when he enters his ninth year of school or when he begins working in 900 level material, whichever comes first. Credit cannot be earned for LightUnits numbered 501-810 unless they are completed after the student enters ninth grade. One Credit = 120 hours of classroom work or 240 hours of laboratory-type activity. 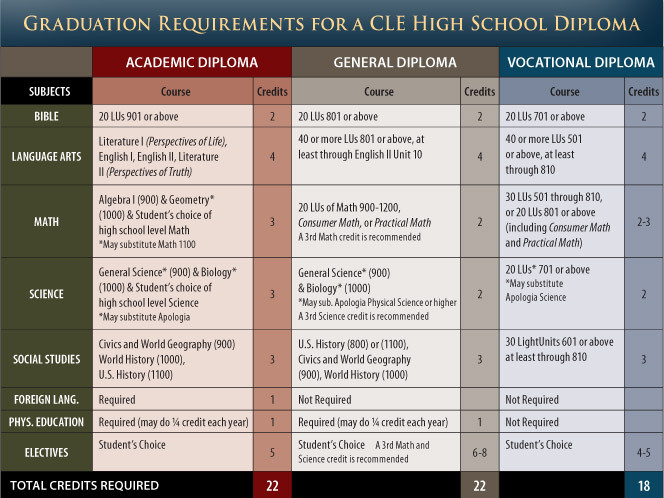 To download a pdf version of the High School Diploma Order Form, click here.